›JMJ LE 81068 Sunburst Coir Brush Door Mat, 18 x 30 in. JMJ LE 81068 Sunburst Coir Brush Door Mat, 18 x 30 in. 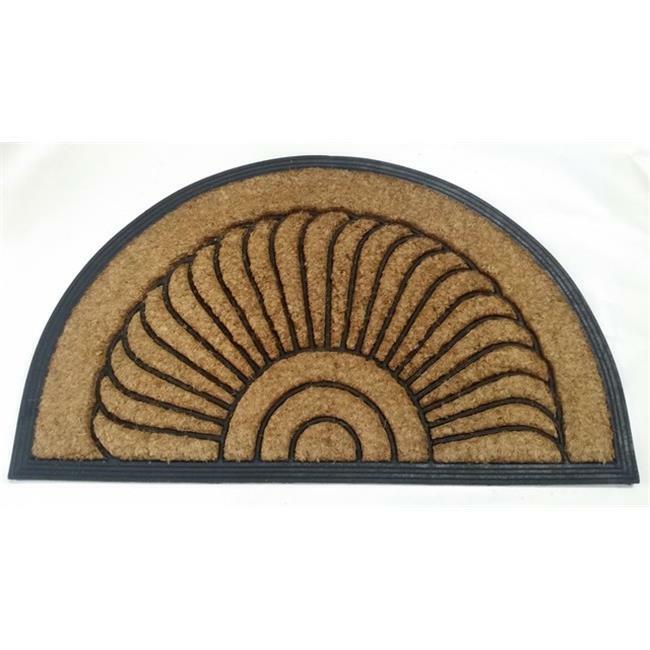 Lords Traders Sunburst Coir Brush doormat made with Black natural rubber molded on durable coir fibers, makes a handsome initial impression to your guest . The natural coir fiber scrapes dirt and debris off shoes easily and keeping the inside of your home clean. A solid rubber backing and molded design make this one of the toughest mats you can buy and is sure to last for long time. Perfect for the entryway of any home and easily blends will any existing home decor.